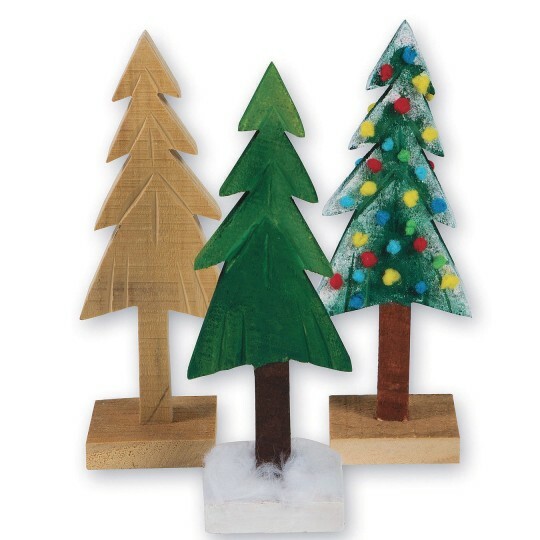 Kids can decorate these solid-wood trees, then display them together for a holiday forest! 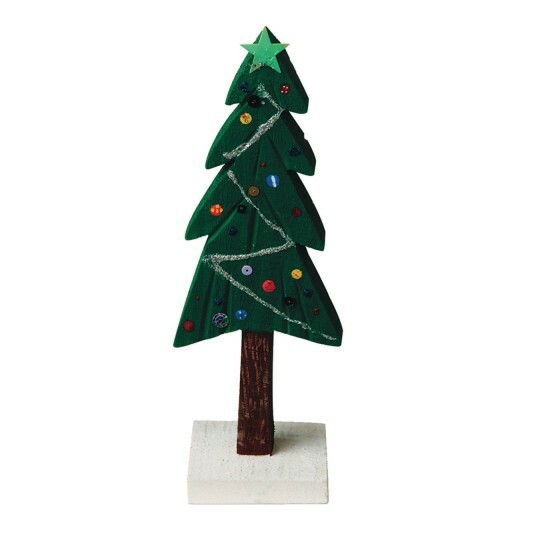 These wooden trees are worth the price. They are about the size of my hand so have a nice area to paint. They are thick and stand up well. Not flimsy at all! My senior residents painted these and then glued white glitter for snow and gems for decorations and made Christmas trees. They really enjoyed these! I would buy these again. Fun and nice looking. Mini pom poms and paint! What is great about this craft is that it is something Residents can do start to finish in less then 20 minutes. There is not enough time for Residents to loss interest. Some of our Residents need projects that they can see finished in a short time. Painting these trees is my favorite holiday craft for my preschool class. This year the trees are already assembled - what a great help!